Roosebeck 23 Inch Baroq-ulele Ukulele Concert & Gig Bag . Based on the round-back guitar found in Germany, the Baroq-uleles are one of the most option-rich lines of instruments we carry. This Concert-sized instrument is based upon a 375mm 14 ¾ inches scale. 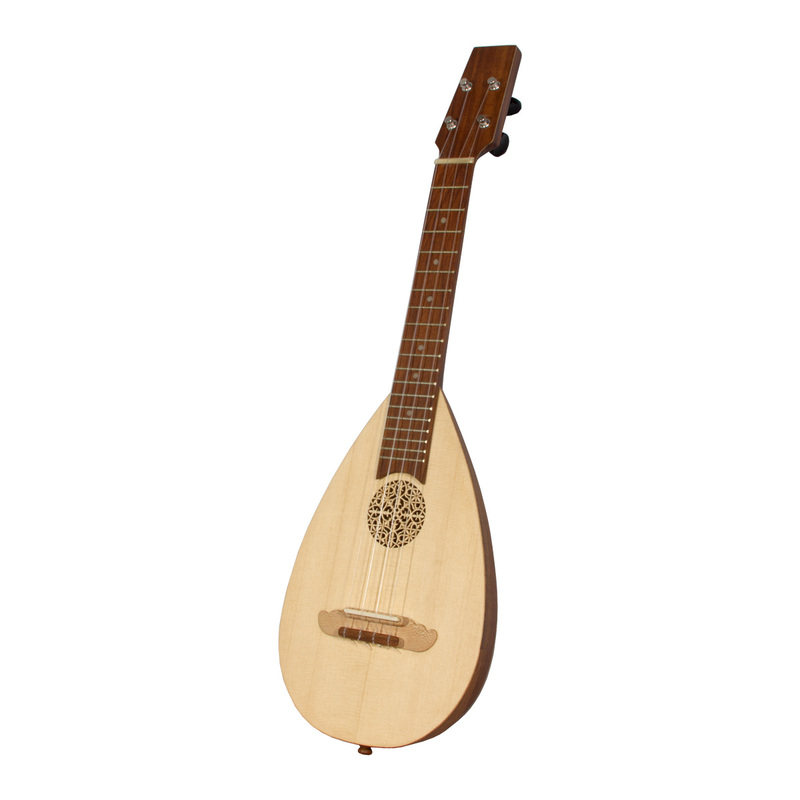 It features a European spruce soundboard with a four-point rosette design taken from a 17th century lute. The back is a round-back or bowl shape made of staves of sheesham Dalbergia sissoo. The neck is solid sheesham and features a nut width of 36mm 1 7/16 inch with a cattle bone nut. This instrument is outfitted with standard friction ukulele tuners. The tension on each friction tuner can be adjusted by tightening or loosening the screw on the top of the tuner. The bridge, also made of sheesham , incorporates a genuine cattle bone saddle. An end-pin strap button is standard. Overall size: 23.25 x 7.5 w x 4 inches. The Baroq-uleles come in 4 sizes including Soprano, Concert, Tenor and Baritone. Each size is graced with its own unique rosette design, each of which is taken from museum examples from the 16th and 17th centuries. In addition to the four sizes, the Baroq-ulele is also available with 3 types of woods for the back: sheesham , lacewood chenar or variegated with alternating staves of sheesham and lacewood. Finally, ensuring that you will find an instrument that best fits your needs, these instruments are also available with two types of tuning keys: Baroque-style Blackwood tuning pegs or standard ukulele friction tuners. All models are sold separately.